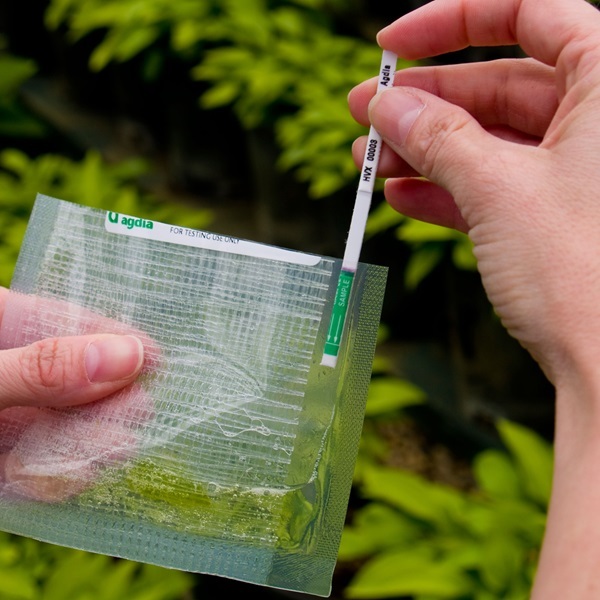 The PlAMV ImmunoStrip® is an on-site tool to quickly identify PlAMV-infected plants with or without external disease symptoms. This assay has been confirmed to detect a diverse panel of PlAMV isolates from Asia, Europe, and the United States. The PlAMV ImmunoStrip requires no special equipment or expertise, making it ideal for use in the field.